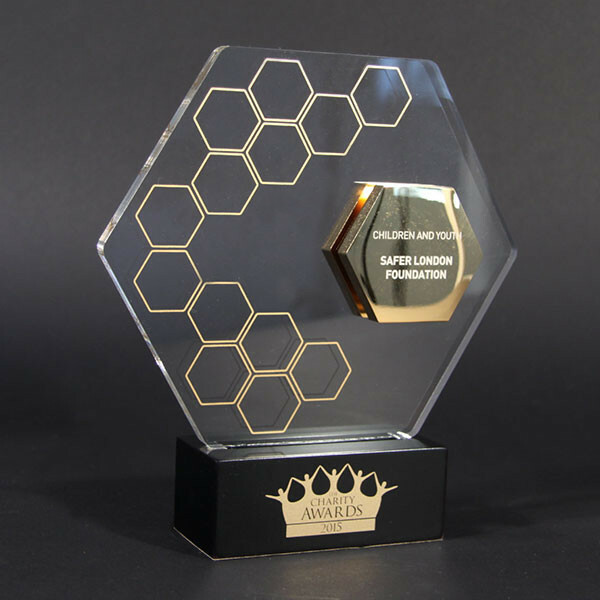 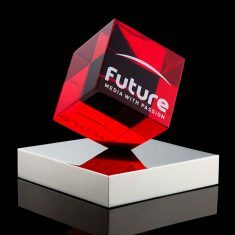 Distinctive laser cut acrylic award with gold print and polished gold plated aluminium hexagon layers. 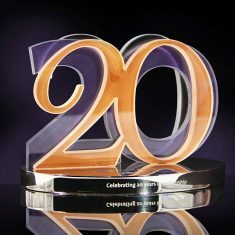 Fixed to a glossy black wood base. 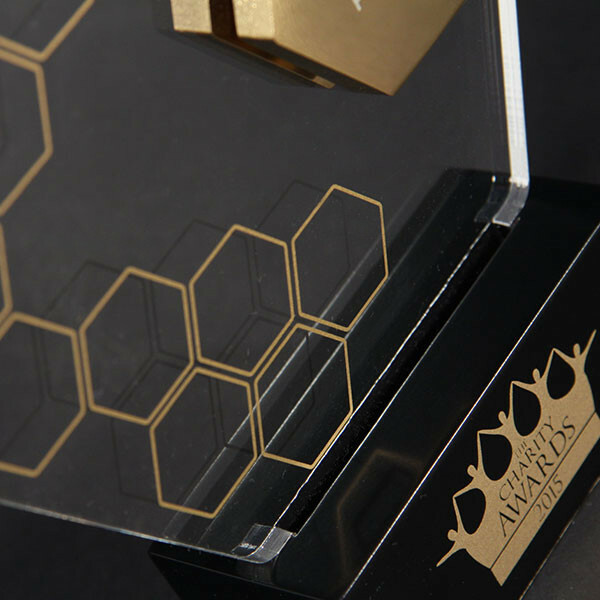 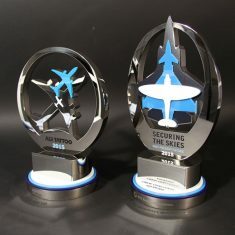 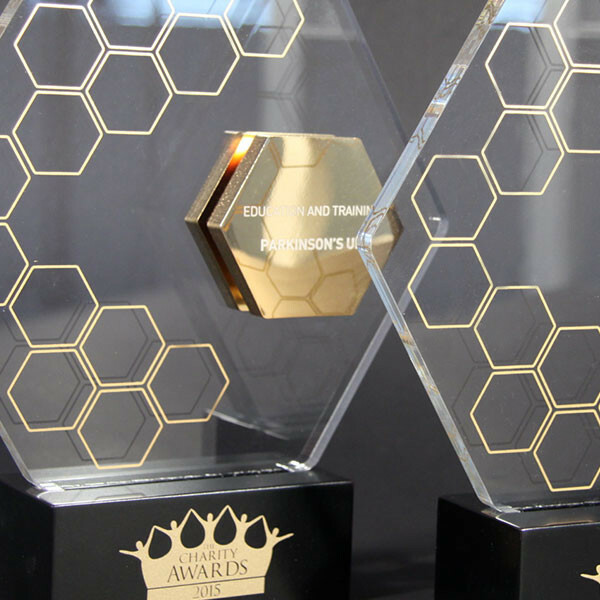 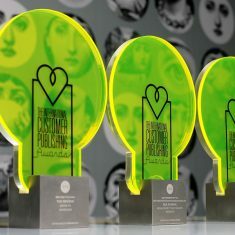 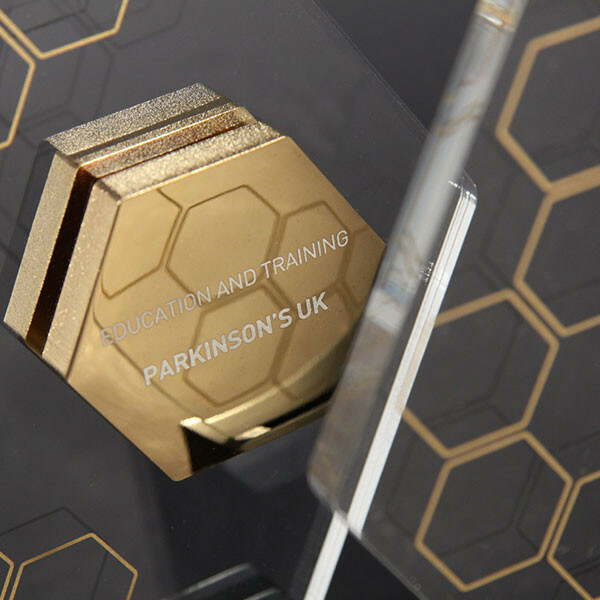 Each award is personalised by laser engraving directly onto the gold plated hexagon.